John Muir, the father of the modern conservation movement, was born in Dunbar Scotland on the 21st April 1838 and moved to the United States when he was 11 years of age. His impact on environmental issues is hard to underestimate, he was an inspiration for thousands of people both through his writing and his actions. In 1983 the John Muir Trust was formed to celebrate his life whilst at the same time preserving some of Scotland’s wild places. The Trust is now the owner of some of the most iconic Scottish landscapes include the summit of Ben Nevis, Sandwood Bay and areas of Knoydart. As part of the educational programme the Trust started the John Muir Award, which has gone from strength to strength in Scotland. Over the last 12 months I have started to introduce the Award into schools in Jersey, as well as about to launch a project with the Jersey Canoe Club. 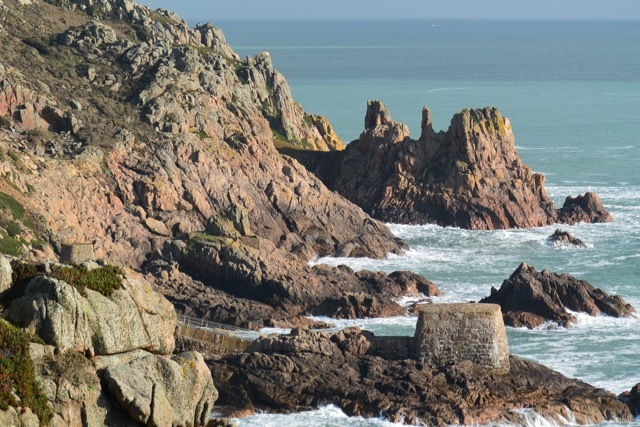 Today sees the conclusion of Invasive Species Week, which is quite opportune as most of the projects that I have developed have revolved around Hottentot Fig, a South African species, which is gradually smothering the native vegetation of the south west cliffs of Jersey as well as destroying the habitat for species such as the Dartford Warbler. 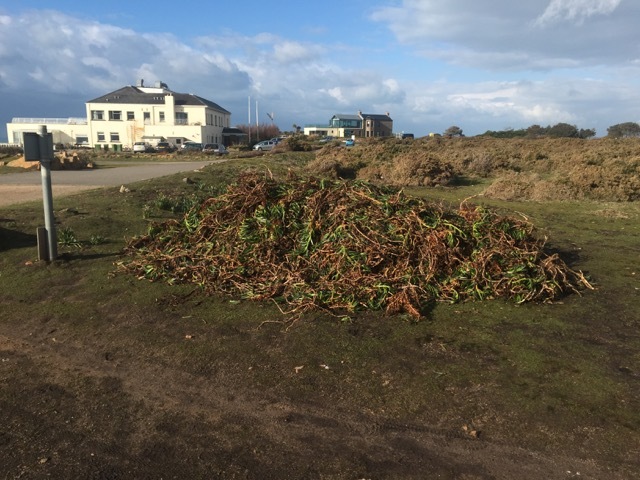 Various groups have been working on the removal of the Hottentot Fig, with it becoming possible to see a reduction in the spread of the plant and a gradual re-establishment of the native flora. The young people I have been working with are making a difference to their local environment. 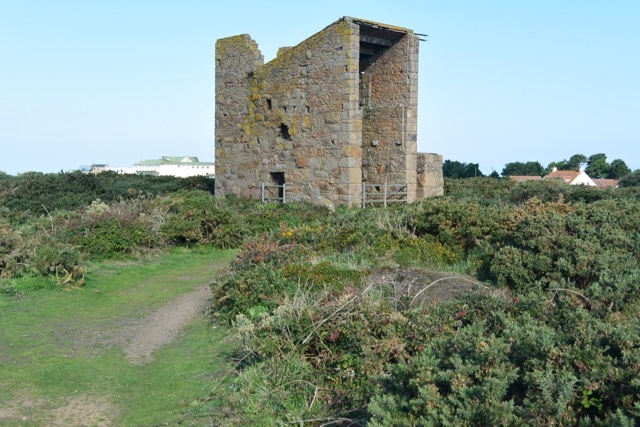 It is not all about pulling up the plant though, there is the exploration of the area, which includes 19th century industrial archaeology, in the form of the quarrying, more adventurous activities, which has included scrambling over rocks, walking out to Corbiere Lighthouse, abseiling down cliff faces, kayaking into more difficult locations and cycling. Too name just a few of the opportunities. The activities are then shared with a wider audience, this has included a school assembly, a parents evening, a notice board, a film, model making, writing in the parish magazine etc. Once this has been completed the participants receive a superb certificate celebrating their achievements. Amazingly this is is all free. The John Muir Award is a fantastic resource not just for schools but for anybody who has an interest in their environment. 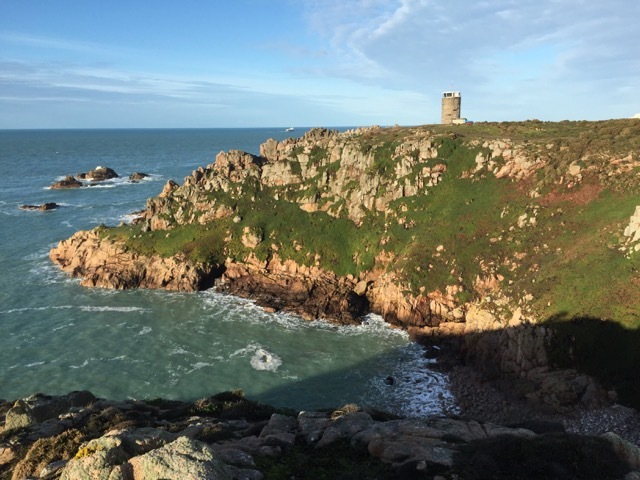 The Jersey Canoe Club project is to collect rubbish off the more remote beaches and caves along the north coast of the Island. It is something, which we might have done anyway but this provides a framework and means of celebrating everybodies commitment and effort. So really consider getting involved, you don’t know how far it will take you. Looking west along the cliffs. Much of the dark green vegetation is hottentot fig. Looking east along the cliffs of the south west coast. The small granite building is part of the desalination plant. An usual view of the quarry at La Rosiere. It has been drained for maintenance. 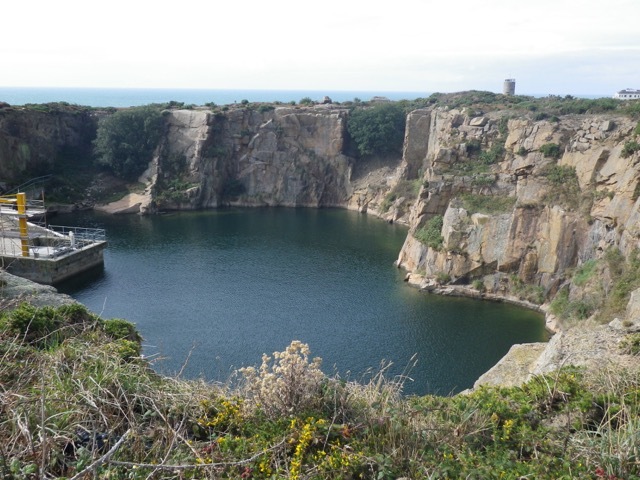 Some of the rock from this quarry was used for the Thames Embankment in London. 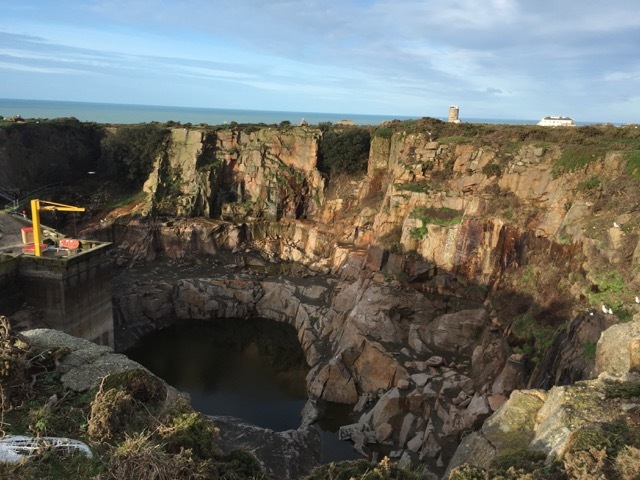 A normal view of the quarry. The remains of the quarry infrastructure. A pile of hottentot fig, the result of the work of year 6’s from St Peter and St Lawrence Primary Schools. If you spend enough time walking around an area there is a good chance that you will see some fascinating creatures. 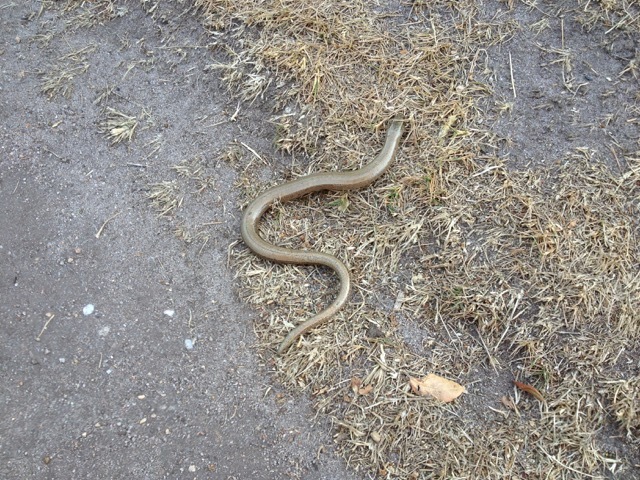 This slow worm seemed totally unconcerned about my presence. 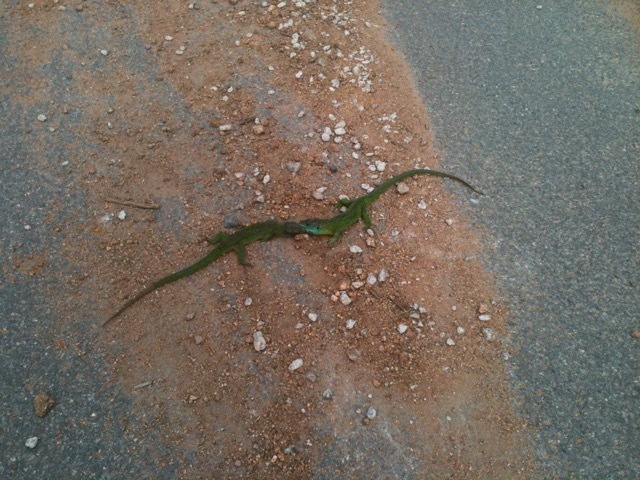 These two Green Lizards were also oblivious of my presence.